Creating original content for your brand may seem like an overwhelming task at first glance. But I want to let you in on a game changing idea that will help you save time and thoroughly utilize your content. 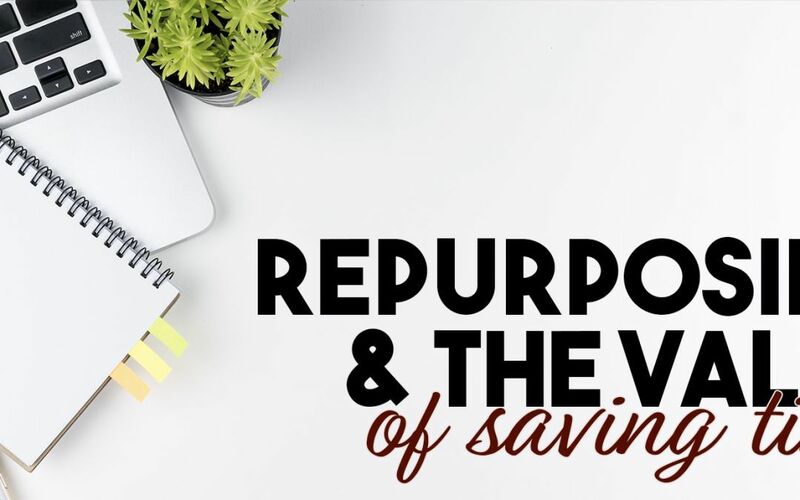 Repurposing will maximize your potential to reach new audiences by sharing the same great information in different formats. We are all about repurposing content here at KRose and have seen how beneficial this practice can be. Everyone takes in knowledge differently. Are you a visual learner? Do you learn more through doing? Do you retain info better when you’ve read it or heard it? You might be one specific type of learner, or a combination of all of them. It’s important to remember your audience is full of different types of learners. We want to share our knowledge with them in the way that best suits their learning style. 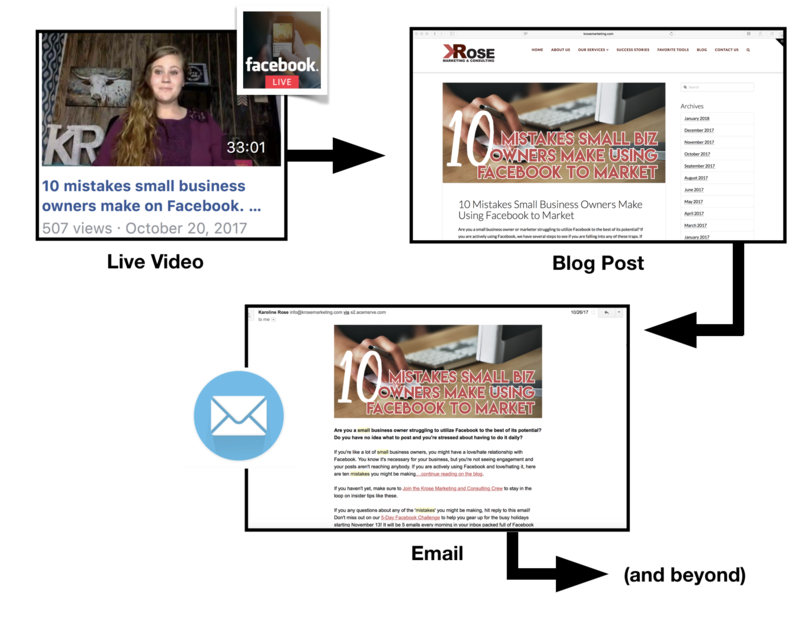 A good example of how we repurpose content would start off with a Facebook Live Video. I want to be the go-to source for social media questions and strive to be an expert in this field. In a typical video, I’ll discuss an idea I know the KRose Marketing & Consulting followers would love to learn more about. These videos are a great way for the KRose audience to get to know me, see my mannerisms, hear how I talk, and most importantly: hear what I have to share. They can ask questions and get a live response, or just watch the replay later. As soon as the live video is over, our writer types it out and re-writes it to flow well in text form, which leads to our blog posts, which leads to our emails and social media posts (Check out our Social Media Tool Kit). We then share the video and blog on our Facebook business profile and group page where discussion on the topics transpire. Often this content is further repurposed into a webinar or another format. By creating a dialogue, we learn more about how to discuss this topic in the future. Just in repurposing one idea, we have reached our audience members of all types of learning. By repurposing content we save and maximize our time so we can move forward to the next piece of content. We can dig deep into each topic because we have the time and energy to do so. I recommend developing a content strategy to organize what content you are going to provide and how many different ways you can present it. Work through your strategy with our Monthly Success Guide and remember to like KRose Marketing & Consulting on Facebook to stay in the loop on concepts like this and much more.